OUTFIT OF THE DAY: J HUD! 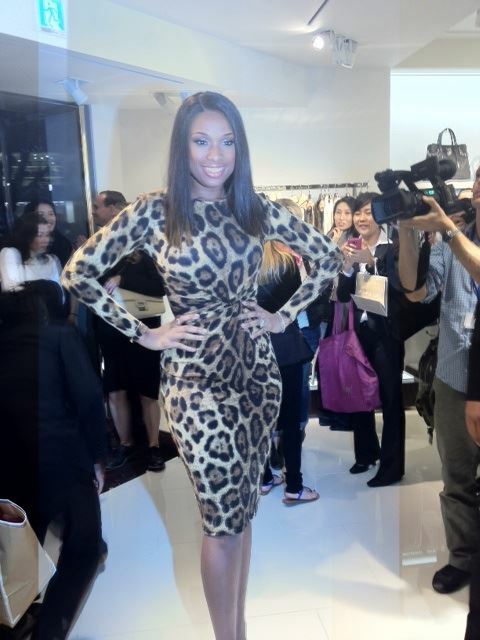 MISS J HUD WORKED THIS DRESS AT MICHAEL KORS FASHION SHOW....SHE SURE IS SKINNY. AS A PLUS SIZE WOMAN MY DESIRE TO BE "THIS" SMALL HAS NEVER BEEN A THOUGHT I JUST WANT TO BE HEALTHY IF A SMALLER WAIST COMES WITH THAT SO BE IT BUT THIS SMALL WILL MAKE ME LOOK LIKE A BOBBLE HEAD. it's my signature style lmao! I mean If my grammar is that serious to you I will. <<<<<look I just did Missash that is just the look I am trying not to have. My face is always been fat so no matter the size of the body. I will forever have this big head so that skinty will not work. @style yes who you telling clothes are no easy task but hey you make it look easy. 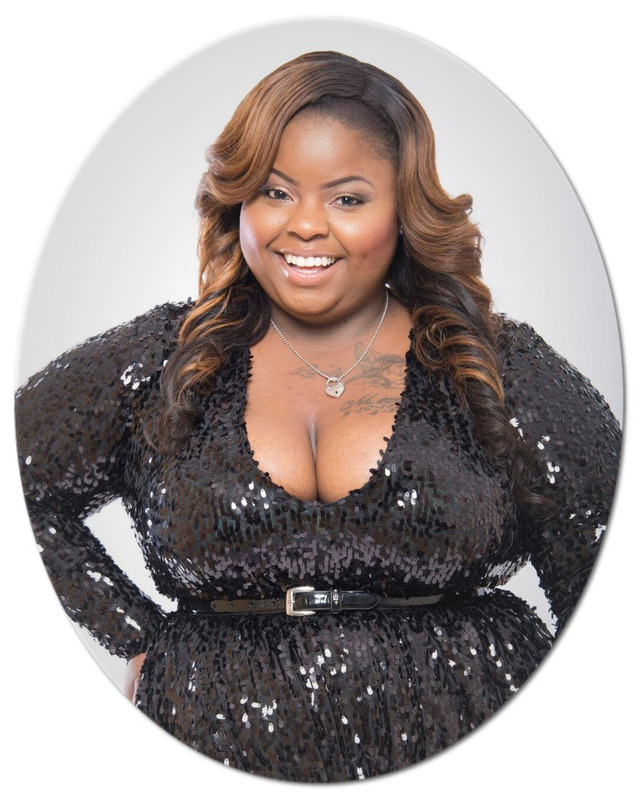 Why do "fat" girls hate on "skinny" girls by calling them bobble heads? Then defend their defiance by saying they want to be a healthy weight (which is fine & dandy) not 'Skinty'..
#POW you go girl! And everyone has their own opinions on what is attractive and what is not. Personally I am blessed with being able to style my larger frame (as yourself), and I still work harder to stay fit. And be COMFORTABLE..so I am also on a weightloss goal. Hcg and a version of atkins. Both are very succesful. How is your diet/lifestyle going now (post hcg video)? J-Hud used to say the same thing, about not wanting to be "too" small. I didn't believe her then, and I don't believe you now. I think it's a case of lack of confidence, and sour grapes. When you don't really think you can achieve something, or when you're not willing to invest the time and energy to achieve something, you act like you didn't want it in the first place. Like so many other 'former fatties", once J-Hud embraced a healthier lifestyle, she found herself slimming down and loving it too. I've seen stars who lose weight to the point where they become emaciated, or they just look hungry and uncomfortable (LeAnn Rimes for example, when she found her new man). Anyway, Jennifer Hudson is far from being at at that level. Hi I love your hair do u have a tutorial online where i can see how to do this style i have to wear this hair for a wedding i'm in next week please help!!!! !